A highly emotional, visceral work, that will touch you in the deepest of your soul. 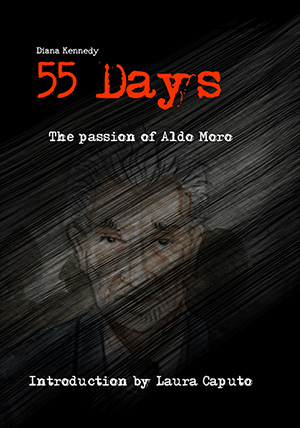 Aldo Moro, a much deserving and respected Italian Politician and statesman is abducted by a terrorist group. No help, no negotiation - there seem to be no will nor any effort to save the hostage. After 55 Days of captivity, Moro is executed. Diana Kennedy, dedicates one painting for every day of Moros martyrdom. 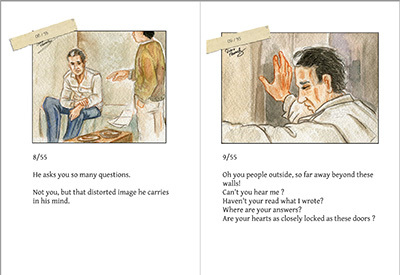 With a tender hand and compassionate words, the artist talks to the victim, virtually holding his hand until the bitter end. Introduction by Laura Caputo, one of Italys best known Journalist and writer.